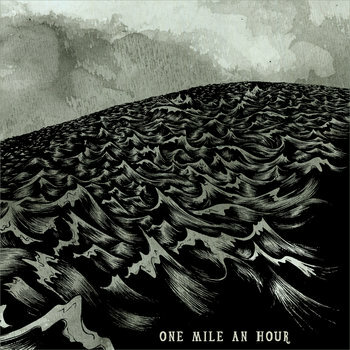 One Mile An Hour by One Mile An Hour (9.5/10):Headed by Jeff Kightly’s hauntingly beautiful vocals, One Mile An Hour is an incredibly impressive debut album. The self-produced album sets forth an ethereal tone that draws the listener deeper into the carefully crafted lyrics. At some points on the album, I am reminded of Simon and Garfunkel (particularly on “Sunken Ships”), Ray Lamontagne (as on “Trouble’s Roots”) and even of Bon Iver. But do not be fooled, these guys do not fall into the trap of trying to copy the success of others; there is a uniqueness about this album that sets it apart from others. Normally, I try to say what my favorite songs on the album are so that you readers can check those out first, but I really can’t choose a favorite for this album. The only song that really doesn’t tickle my fancy is “Nine Eight” if only for the fact that I’m not a fan of instrumental songs and this one is about 9 hours long (that may be a bit of an exaggeration, it’s only 10 minutes long). Overall, I think that the album is masterfully crafted and could be at the top of the folk charts. I hope that these guys get the credit that they deserve for this album that is easily within my favorites that I’ve discovered this year. Don’t be put off by the fact that this is a seven minute long song, it is definitely worth a listen. The intro is very much similar to Explosions in the Sky, while still remaining unique. You can find the rest of Adam’s debut EP on his Bandcamp page. The band as a whole has a pretty interesting sound overall, but what appeals to me the most is the clever lyrics that are often pretty humorous. The 5 song album as a whole is a nice effort put forth, but “Homeboyz” and “Postal” are really standouts that make me think this band could do very well if only a few more people gave them a listen. “Homeboyz” has comical lyrics that force you to crack a smile no matter what mood you’re in. “Postal” is a tune that really draws you in; as you listen to the song, the lyrics really strike you in a cool way. Look for this dude to do big things in the near future.